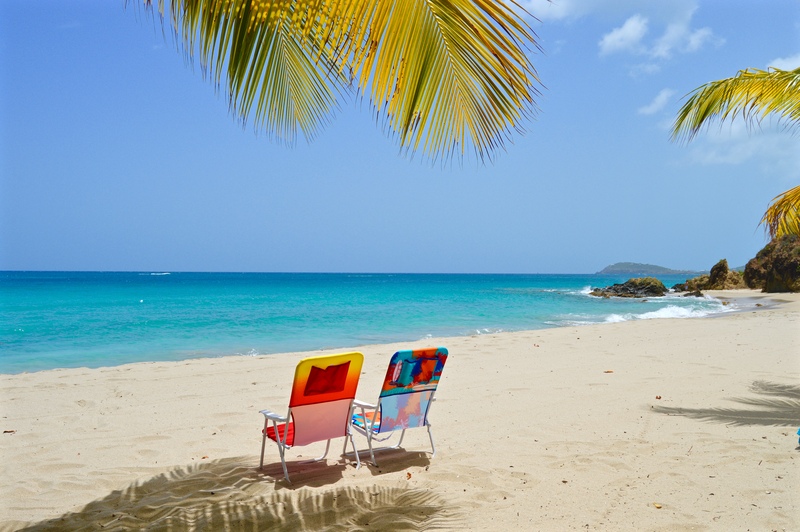 Here in the Virgin Islands we are enjoying lazy days on the beach…. The picture over is from Limetree Beach located just below our villa. We usually walk down to the beach in about 5 minutes. When going to the beach we always pack a cooler and fill it with cold drinks and some snacks. Sophia and I love to bake banana bread and make some cookies. This is also why it is great to stay at a villa! When you rent a villa you can take full advantage of the kitchen. Make your own food and snacks to bring to the beach. 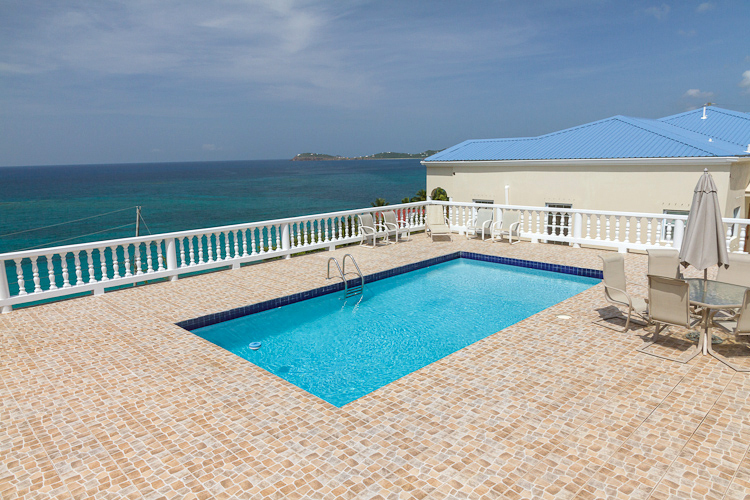 All our villas comes with fully equipped kitchens, coolers, beach towels, beach chairs and fun waters toys. Another beach we also really like her on St. Thomas is Hull Bay. On Hull Bay there is barley tourists, a lot of locals use the beach. There is a cozy nice restaurant and bar here. 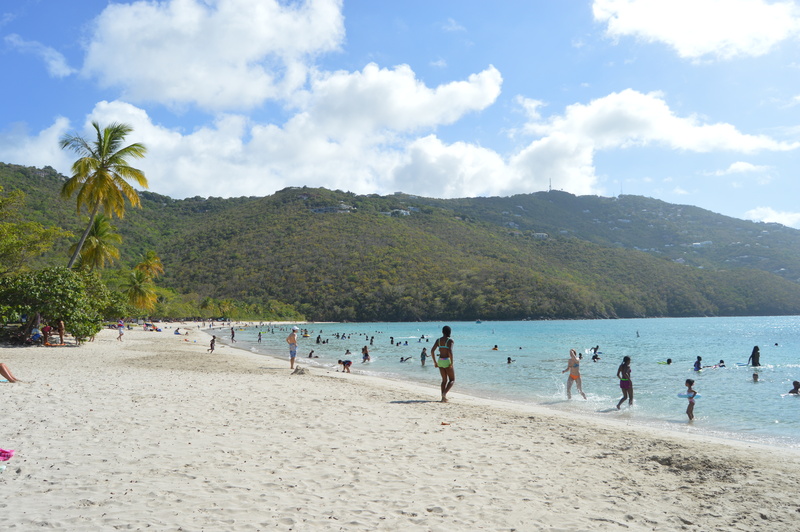 The beach is also known to be the only surf beach on St. Thomas, but to surf you have to go a bit out. The beach has a lot of life and activities besides surfing though. There are kayaks, paddle boards and other fun stuff to do. Hull Bay is also one of the few beaches where the locals bring their dogs, on Sunday morning you can see a lot of happy dogs swimming and playing with their owners. 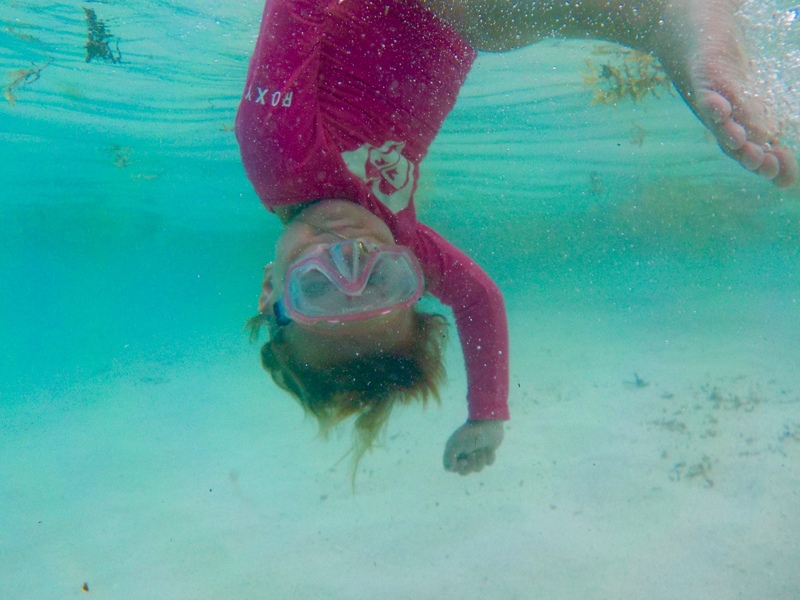 Sophia has two favourite beaches on St. Thomas; Magens Bay and Coki Beach. Magens Bay is featured as one of the worlds most beautiful beaches. It always has calm and crystal clear water. The beach is long and shallow. Perfect if you are bringing children. Coki beach again is on of the most fun beaches! Be sure to bring snorkel gear and milk bones when going to Coki beach. The fish are very friendly, and specially if you bring milk bones! 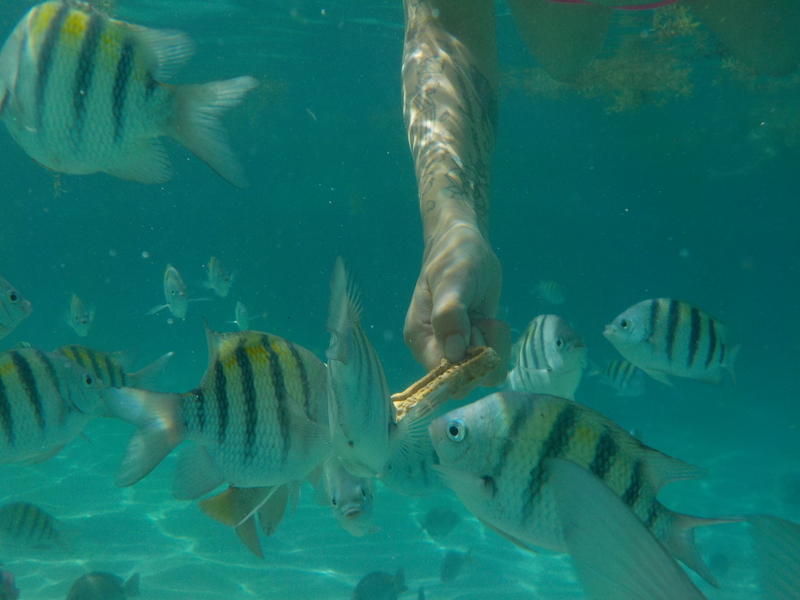 The fish will get up close and personal and eat from your hand if bring some milk bones for them. 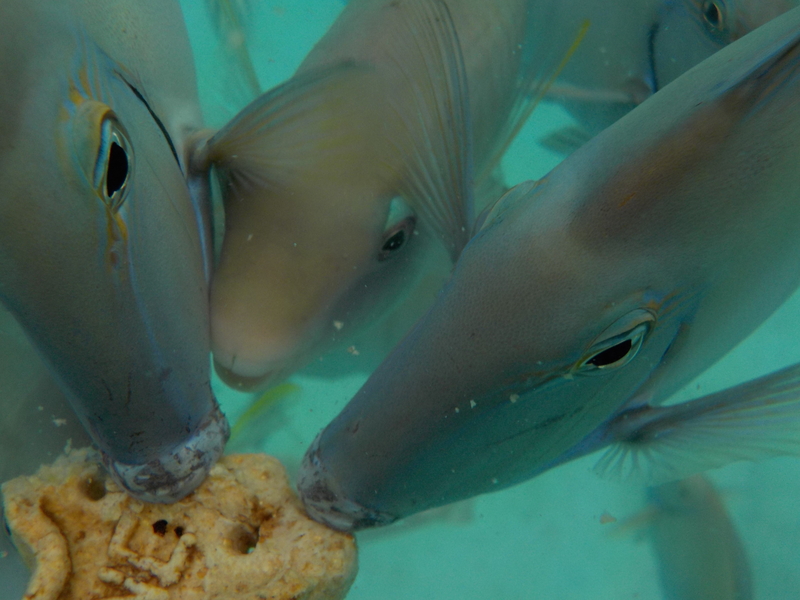 When you are on Coki you can take a walk over to Peter at Coki Dive. Here you can dive right of the beach! If you don’t have any experience at all you can do an “intro to Padi” which is only $79. The course will get you diving within less than 30 minutes. You will go in with your instructor and dive the reef off Coki. It is a very nice “first time” dive. Another activity we like is to paddle board. 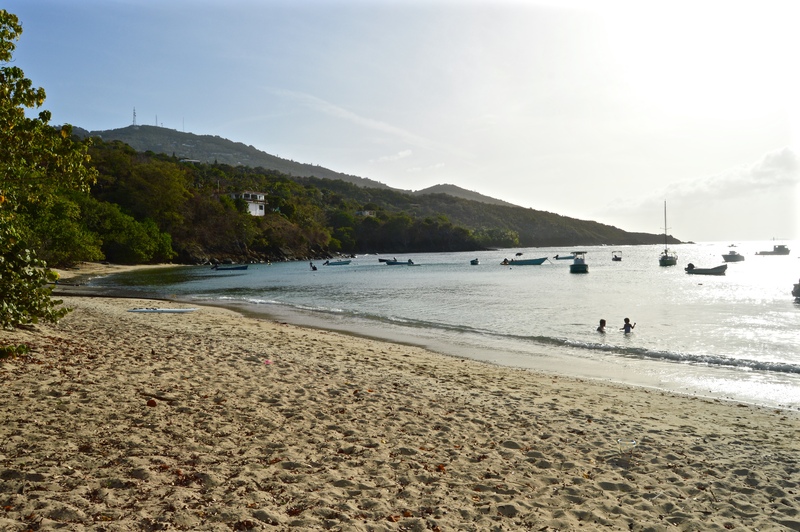 On most beaches here on St. Thomas you can rent paddle boards. There are also work out classes for SUP: Stand Up Paddle Board. These are very fun classes and you can even do yoga on the board as well if you would like to try it. Besides spending the weekend on the beach we also like to “try out” new activities on the island. This is also important to us because we can be better guides for our guests and give better recommendations. Picture from Capitol Airs Facebook page. One of the new “tours” we have come across is Capitol Airs day trip to Anegada. Anegada is one of the British Virgin Islands. If you do not have the time to spend a week on a charter, or if you did spend a week on a charter, the private plane will take you up to Anegada for a day. You can enjoy some fresh caught lobster for lunch and realx at the beautiful Cow Wreck Beach. Many of the couples who get married here sometimes take their honeymoon on a different island. The Caribbean is perfect for island hopping. When you’re first down here it is perfect to take advantage of all the different things you can see and do. 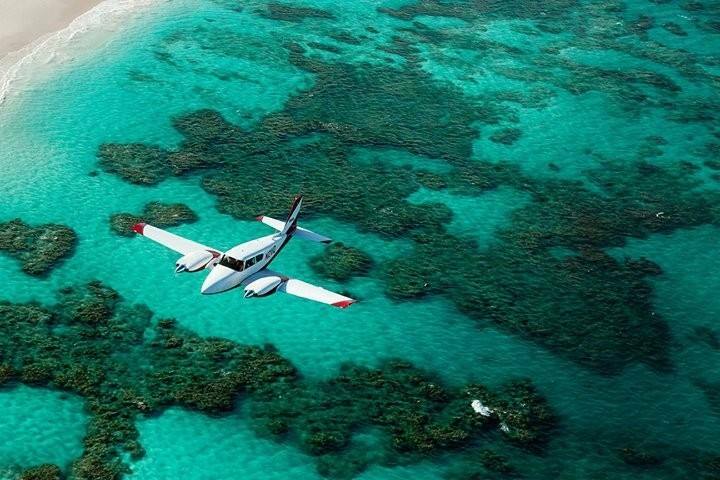 Flying smaller private airplanes opens up more options on where you can fly. For us living on the islands it also gives us a quick way to travel and explore the different islands. 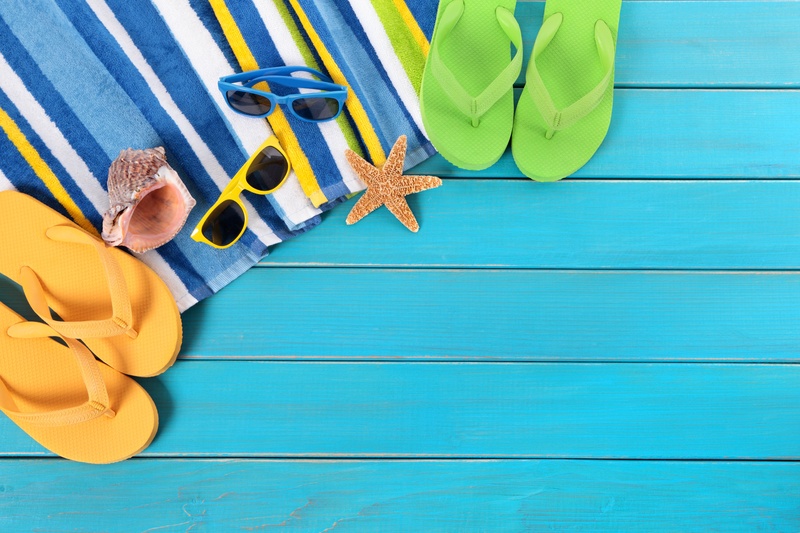 We can’t wait to go on a day trip to Anegada or on a shopping trip to Puerto Rico. The Blue Sandcastle also offers a full / half board option. This means you can ad a private chef to your stay. You will have a delicious breakfast buffet with fresh baked artisan bread, delis, fresh fruits, juice, coffee and so on. For lunch there will be several options, as well as for dinner. Right now we have a fall special: Full villa rental w/ 2 suites starts at only $2500 in September and October! PS: You can also use the form under to contact us for travels in the USVI and BVI. What a great article! 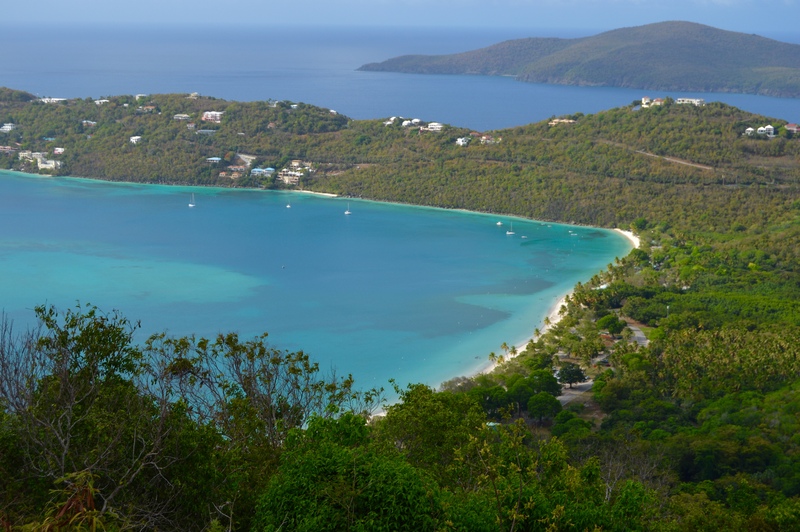 for more information about the BVI please visit my blog The Perfect Yacht Charter, where you may find useful information about this amazing island! Next PostWhat to do on your last day in the Virgin Islands?